Flipkart may have received a billion hits on its website on October 6 but it also sent many people into the welcoming arms of competition such as Amazon and Snapdeal! Snapdeal reportedly made $600 crore the same day! Amazon rolled out its Diwali Dhamaka Week with aplomb. Let’s say Flipkart wins back its loyalists. How about first time visitors? Will they want to come back after their arduous shopping experience? When the WMA group was challenged to come up with a solution for Flipkart to win back the trust of customers, I noted a speaking trend. After half-hearted attempts at proposing redemptory measures (such as giving away gift vouchers and discounts) for Flipkart, most students went back to berating the brand. Clearly, the resentment and disappointment at India’s homegrown ecommerce website won’t shake off easy! Greater inventory control: The logistics and operations could have been managed to avoid misleading price tags and stockout. Was the goal increasing Gross Merchandise Value (GMV)? High discounts would be compensated by the low cost of customer acquisitions. Was that Flipkart’s objective? Could the sale have been a deliberate blooper? If Flipkart’s objective was only to increase awareness and visitors exponentially, it succeeded. Invite government vigil? Flipkart has been under the regulatory scanner on and off. 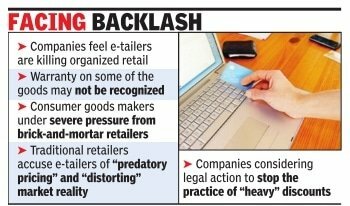 The Big Billion Sale highlighted the need to regulate ecommerce further. Was Flipkart trying to spread attention to competitors before their Diwali sales rolled out? Despite suggestions made, nobody believed Flipkart could make adequate amends after its Big Billion Blunder. (Here’s an opportunity for #Flipkart to turn the tables and confound us all!). At the same time, 80% believe Indian memory is short and good deals are all we care about. Flipkart’s faults could soon be forgotten. 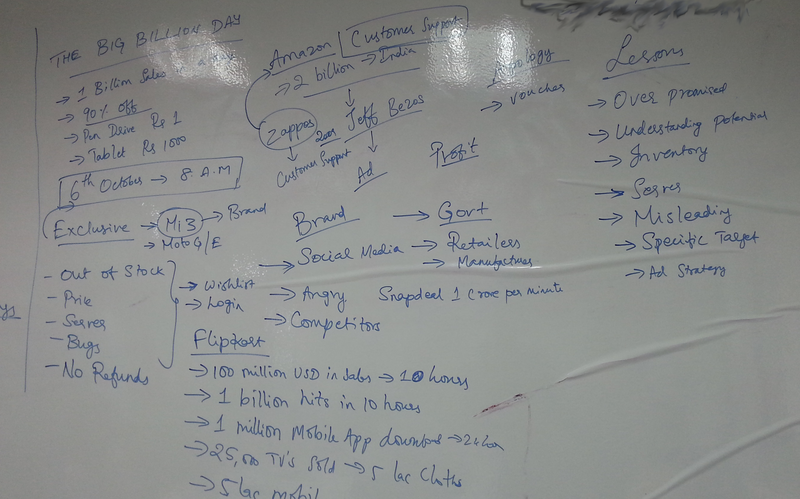 What’s your take on Flipkart’s Big Billion Sale? Are you still a loyal customer or did the damage run too deep? By the way, do check out WMA’s podcast on the Big Billion Sale on FIR. Disclaimer: These are only our opinions and point of view. The goal of the exercise was to learn some lessons from what happened and discover how students would think and act in similar situations. Monica is a digital marketing enthusiast, blogger and technical writer. She has helped small businesses with content development for the last 5 years and is now extending the value with online marketing. Her goal is to introduce more businesses to this exciting and profitable marketing medium. She is a regular blogger for WMA. Connect with her on Linkedin or Twitter for digital marketing assistance or to say hello!